Is there a better alternative to myRecipes? Is myRecipes really the best app in Cooking category? Will myRecipes work good on macOS 10.13.4? Recipe management meets browser. 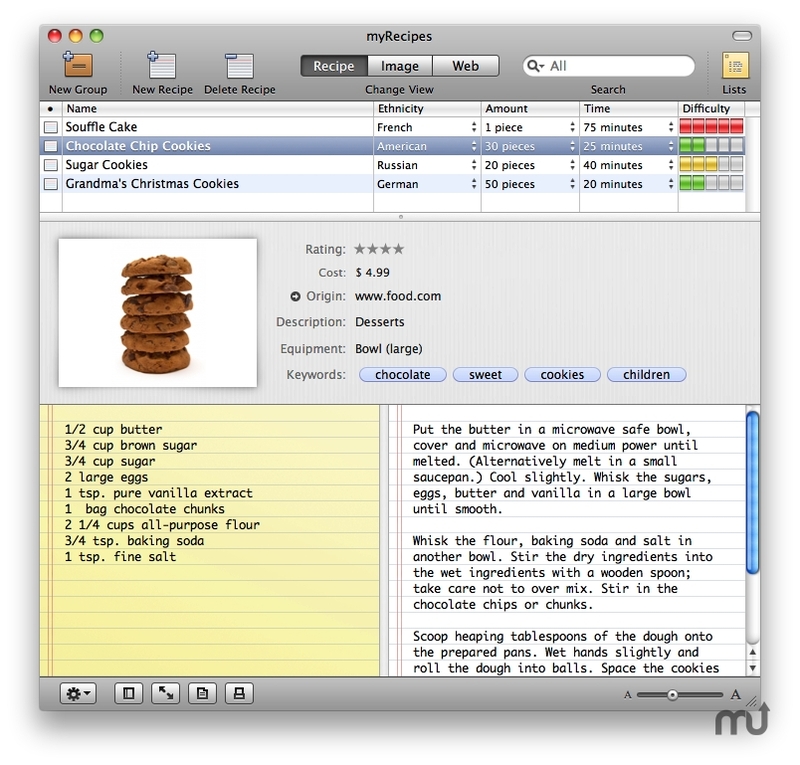 myRecipes is an easy-to-use and ultra-fast program that has been crafted by hand down to the very last detail to manage recipes and lists with a built-in browser. After all, we don't dig through Grandma's old-fashioned cookbook first, but instead, we search on Google today. Thanks to myRecipes, you no longer need two programs. All you need now is to search directly in one window for the recipe you want and simply transfer it to your own collection of recipes. In contrast to the other recipe management programs on the market today, you do not need to tediously store single ingredients one by one in myRecipes. The only thing you need to do now is to copy the ingredients directly from a website. Besides the actual recipe itself, you can also conveniently and easily store the relevant photo and enlarge it whenever you need to. If you want to take your mobile Mac with you into the kitchen, the extra with a cooking overview is available and it is as easy as pie to print recipes and shopping lists out, store them or send them directly as a mail attachment. Recipes are categorized, enabling you to find them all whenever you need them according to cooking time, quantities, ingredients and description. And last but not least, you can mark them by tags to find them even faster.